What is the College Counseling Alumni Panel? 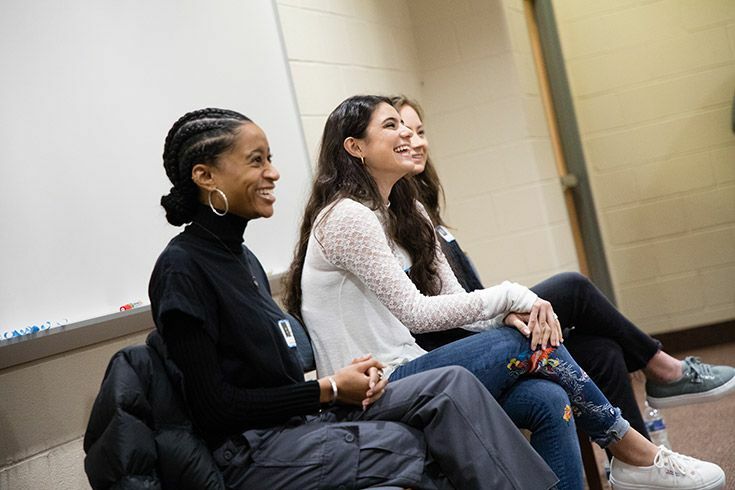 The Alumni Panel is an annual event put on by the College Counseling department where three to four recent alumni are invited to Severn to give advice to and answer questions from the graduating class. The panel gives our seniors a chance to hear about current college experiences from students many of them know and trust. This year we welcomed three accomplished alumnae from the class of 2017: Nina Page, Priya Lakhanpal, and Rachel Sindler. Each of the panelists brought different perspectives, experiences and knowledge. Nina studies English and public policy at the University of Maryland and is interested in exploring sociology. She also works as the VP of events for a fashion business club among other extracurricular interests. Priya is on the pre-dental track at the University of Richmond and volunteers with new student orientation. Rachel studies economics at Furman University and is on their Division 1 lacrosse team. Both Rachel and Priya also participate in Greek Life. Each offered a unique point of view on what to expect as our seniors move into their college careers. Check out the resources on our college counseling page and reach out to Mr. Brunk or Ms. Coughlin in the College Counseling Office. They advocate for our students, helping to highlight special strengths and support college applications with letters of recommendation. They can answer questions about admission testing and application procedures. 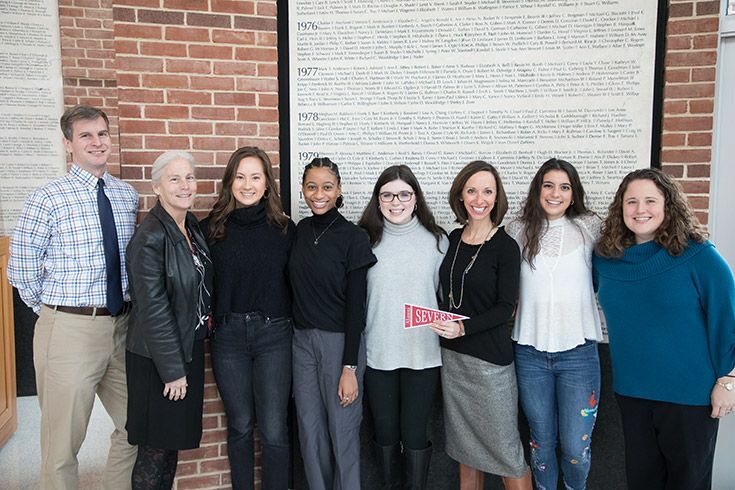 They are here to help Severn students and families navigate the college decision-making process to find the right match — for the people our students are and the people they hope to be. Want to Give Back and Get Involved? 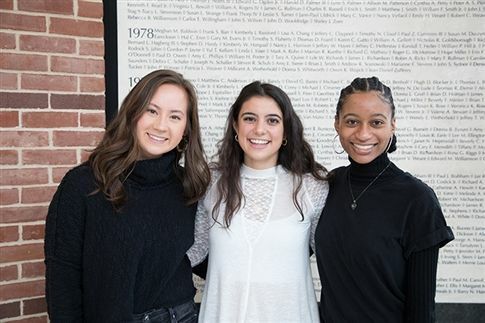 The Alumni House is committed to providing opportunities for former Severn students to reconnect, network, enjoy memories and feel the special sense of pride that being an Admiral alumnus brings. Our alumni relations program seeks to build a mutually beneficial, lifelong connection amongst alumni and to Severn School, and to encourage alumni support and guidance in advancing Severn’s mission to “marshal the courage to lead, and to develop the lasting desire to serve and achieve.” If you are a Severn alum that would like to get involved, contact Alumni Director Ms. Carrie MacVean Grimes '91.